Here's our Dear Guitar Hero feature with Justin Sane of Anti-Flag, who answers readers' questions about gear, influences, songwriting and more. 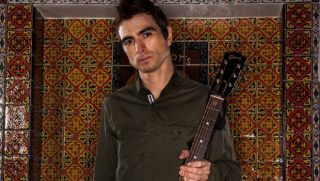 Dear Guitar Hero: Submit Your Questions for Justin Sane of Anti-Flag! Here's your chance to ask the Anti-Flag guitarist anything you want.